To promote discussion about Maternal Mortality and Gender Inequality, the project prepared this tool. It is a one-page diagram indicating causes at all levels of a maternal death. Click here for English and here for Portuguese. This powerpoint lays out key steps in building a team that can work together and develop good leadership practices. It is particularly important for the development of micro projects as people come together to develop the necessary cohesion, trust and skills to be a successful work unit (in Portuguese). In a former University of Saskatchewan partnership, with the Massinga Centre in Inhambane Province, the Massinga Centre produced a series of manuals for working with communities on various topics in community health. The Portuguese manuals were made available in print and electronic form to all health training institutes (IdFs) in the country. This is a manual for setting up and running chicken production units. It is an important manual covering all phases from growing chickens, to housing chickens, to the proper care of chickens, to the economics of keeping track of inputs and outputs, to the sales of chickens. Ed Whetli has conducted workshops for our project highlighting how chickens are an important way for wealth and nutrition to be created in the communities, and is an important initiative for women to create an independent income. WLSA in Mozambique is the project’s partner for gender.  Its website has many resources in Portuguese and English about the rights of women in Mozambique and southern Africa.